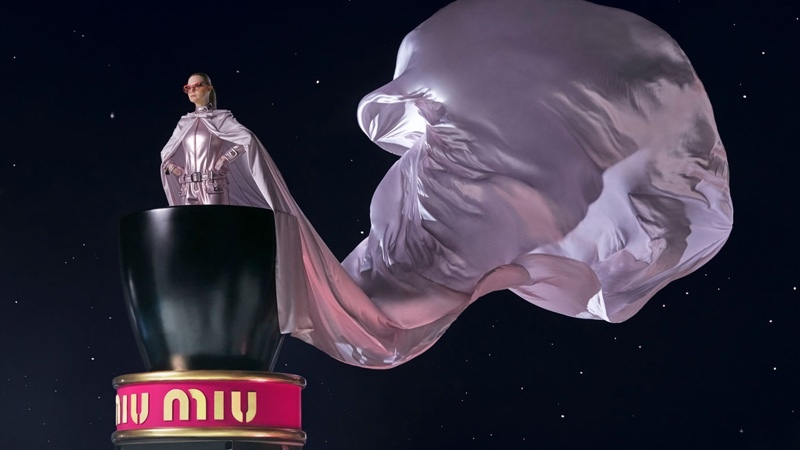 Fronting Miu Miu’s ready-to-wear campaign for several seasons, Elle Fanning, takes the spotlight as the face of its new Twist fragrance. Photographed by Mert & Marcus, the actress wears a feather embellished gown while posing against a space backdrop. 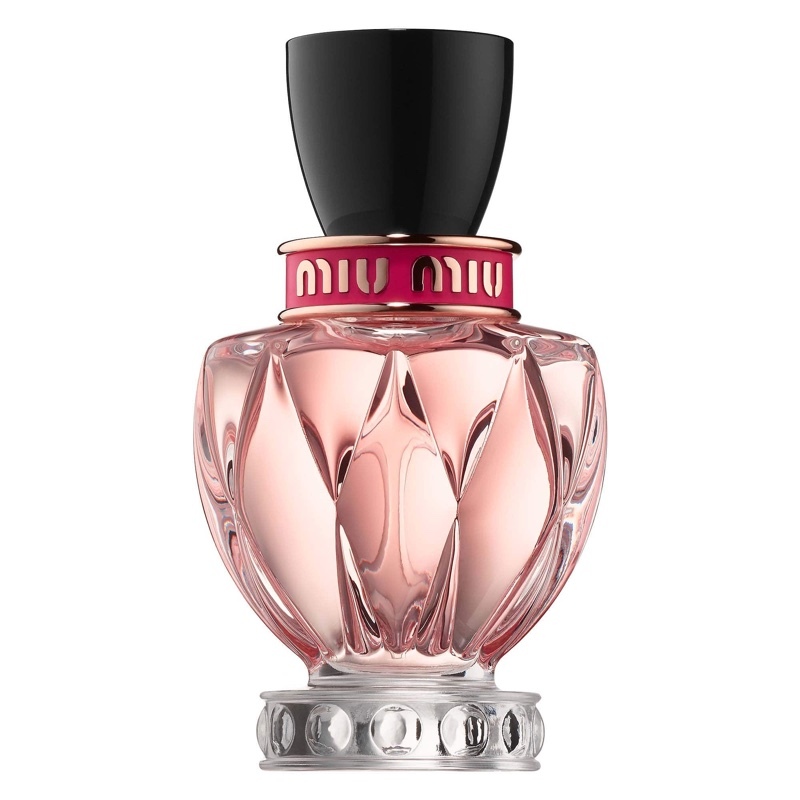 The perfume’s commercial plays off the word Miu as Elle poses in sci-fi inspired scenes. Described as a fruity floral, the Twist scent includes notes of apple blossom, pink amber accord and cedar wood.